Front of the vessel has a small crack and very easily repairable. Other then that everything appears to owners satisfaction to be in pretty fair condition given the age of the vessel. Seller is ready so make an arrangement to come see it soon. Stock #141234 Great 250 WA! 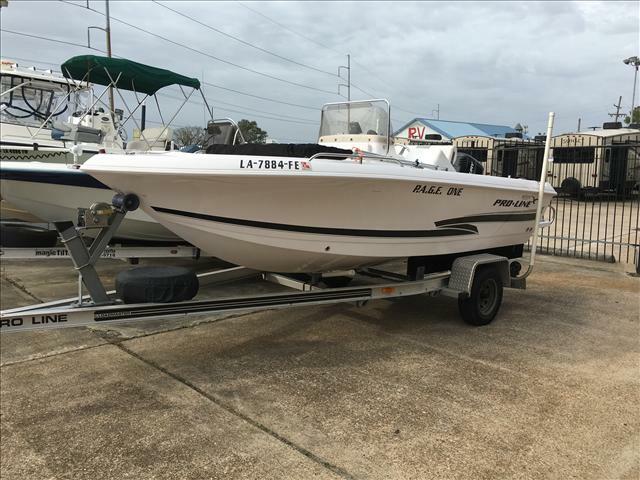 2003 300HP Yamaha 2-Stroke! Hardtop! Rocket Launchers! Trim Tabs! Trailer! 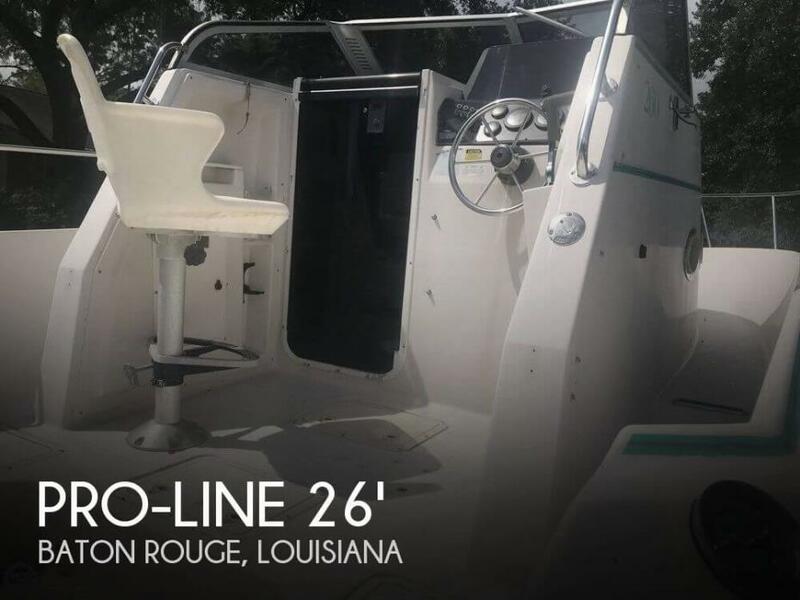 If you are in the market for a walkaround, look no further than this 1994 Pro-Line 240, priced right at $23,900 (offers encouraged). 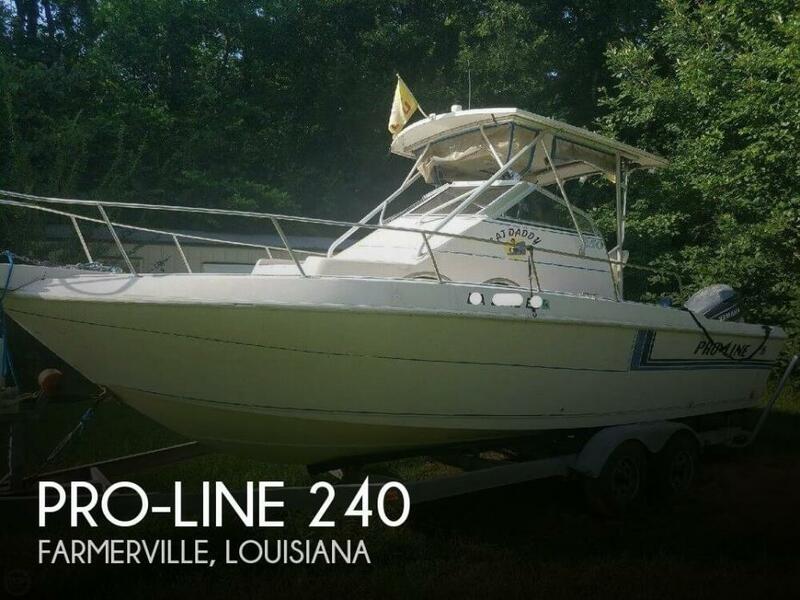 This boat is located in Farmerville, Louisiana and is in decent condition. She is also equipped with a Yamaha engine. 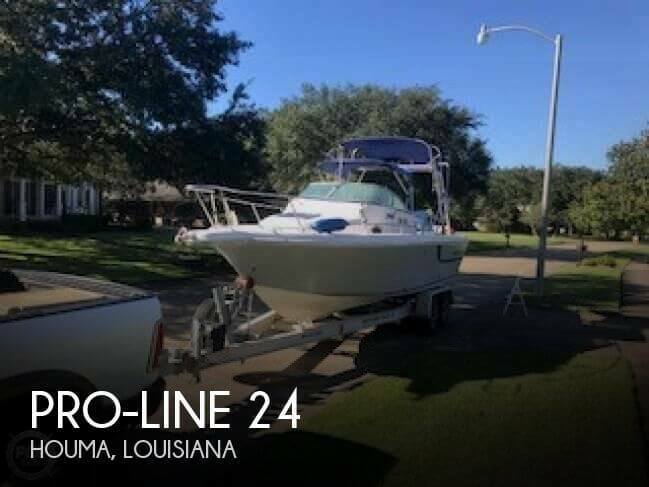 Reason for selling is wants pontoon boat. 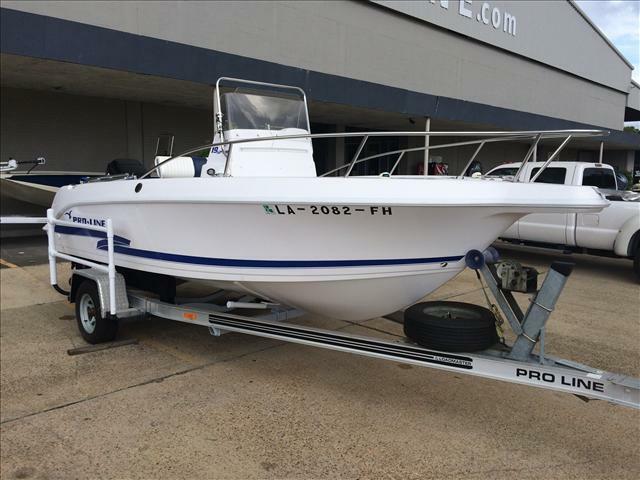 2002 Pro-Line 17 Sport, 2002 Proline 17 Sport equipped with a Mercury 90 outboard with only 316 hours. This boat is in great condition and the only thing that doesn't work is the stereo system. 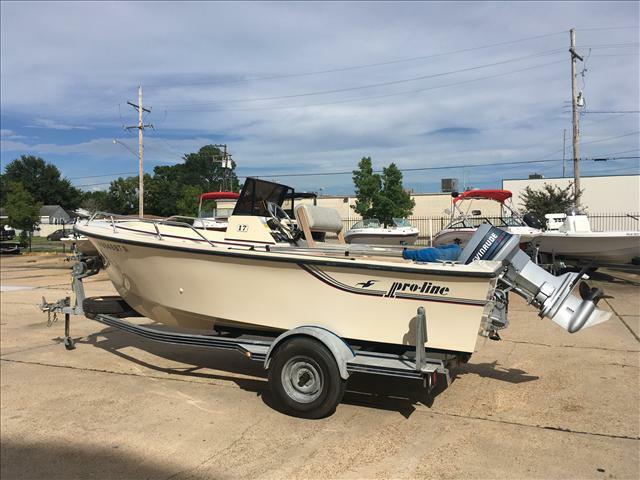 2003 Pro-Line 19 Sport, 2003 Proline 19 sport with a Mercury 150 XR6. 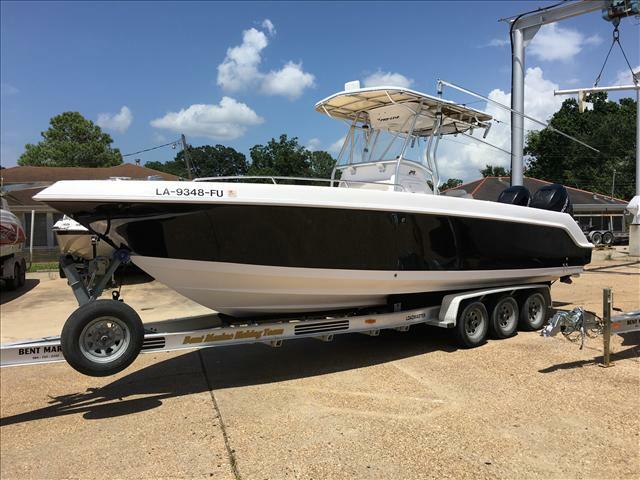 This boat features a deep V hull and lots of interior space for fishing or family use. Come see this one today! 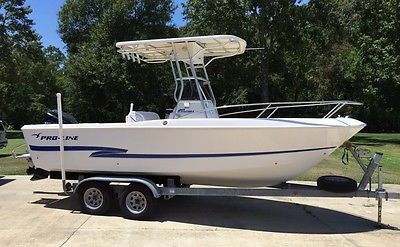 After 5 years of ownership we are selling our boat to free up money for a house we are building. Plus my wife has decided she hates boating (is that a negative?). I believe in two things: most people don't buy projects, and don't sell junk. 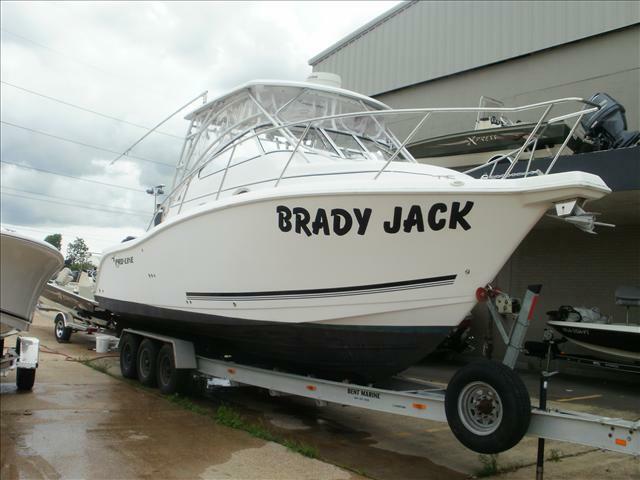 As such I have COMPLETELY gone over this boat in the last month getting it ready to sell. In addition to getting the engine checked out by a mechanic (his sticker is on the back of the outboard, I can provide contact info) the following things have been replaced: 1. New Rubrail2. New Upholstery3. New Windshield4. New AGM Battery (buyer can add a second battery)5. New 2W Coleman Solar Battery Tender6. New Pyle Bluetooth Stereo (stream music from your phone!)7. New Boss Marine Speakers8. New Swim Platform with 3 Step Ladder9. New Plastic Insert Fittings (cupholders, rod inserts)10. Exterior of Hull Compounded and Polished11. New in-box Lowrance Elite 5 GPS/Fishfinder not installed but included with sale Other things checked out: 1. Running lights and dome lights work2. UHF Radio works3. Bilge Pump (1100gph Rule) tested and works4. Tires checked (30 psi)5. Hubs greased6. Toilet in center console has never been used7. Gas tank is empty, no bad gas here8. Carburetors cleaned by said mechanic Work Done in the Past That I Know About: 1. New Factory Mercury Powerhead (Longblock) at 440 hours, break in oil added to tank for first 30 hours afterwards. This was done immediately before I bought the boat.2. I replaced the bilge pump 3 years ago3. I replaced the trailer tires (Goodyear) and leaf springs three years ago4. Hubs have been greased every season Last time I used the boat the tach and hour meter worked, the speedometer did not. I don't know if the livewell pump works because we never tried to use it. I think I am the second owner, the original owner lived in Florida. Title is free and clear. I was very happy with this boat in terms of ride quality and build quality. The downside is the hull is pretty heavy and it tops out around 38mph, although I have seen 43mph on GPS with the tide. It cruises on plane pretty comfortably around 3500rpm with 4 people on board. Text me at 225-335-7439 with questions. I will not ship.